Explorer for ArcGIS is now available for Apple users who want to discover, use, and share maps from their Mac desktops. Redlands, California—Esri today released Explorer for ArcGIS on the Mac, a native OS X application to discover, view, and share maps. The ready-to-use app joins Esri’s family of mapping apps, including Collector for ArcGIS, Dashboard for ArcGIS, and Explorer for ArcGIS on iOS. It can be downloaded from the Mac App Store and Esri ArcGIS Marketplace. 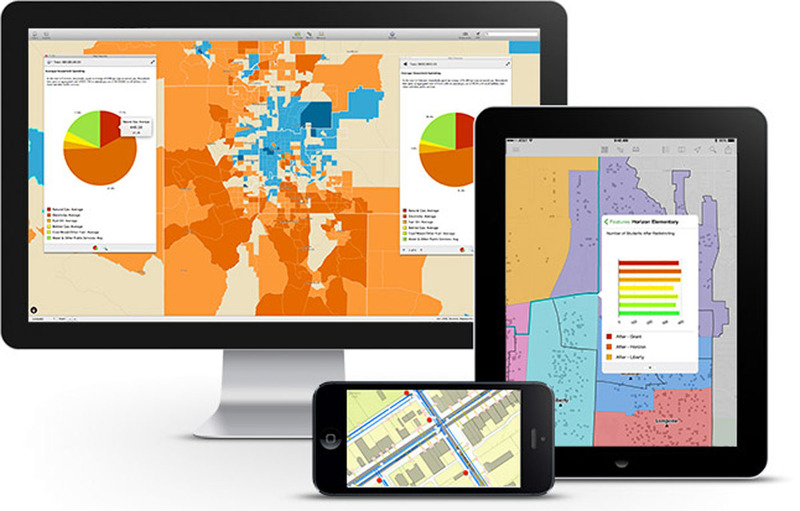 With Explorer for ArcGIS, you can access maps, search for and visualize data, and brief stakeholders. In the new Mac version, you also have the ability to open and view multiple maps at once, dock and undock pop-up windows, and go full screen—taking advantage of Apple's Retina technology on MacBook and Thunderbolt displays. Explorer for ArcGIS is one of many ready-to-use apps to access maps authored by you or others within your organization, and share them from Macs or iOS devices. The app is designed for anyone who needs to explore data in a geographic context and use maps to make more informed decisions. With an elegant and intuitive interface, it requires no GIS experience to operate. Anyone using a Mac desktop or iOS device can download and try the sample maps included in the app. ArcGIS Online subscribers, trial users, and those with a Portal for ArcGIS account can simply download the app, sign in, and begin exploring their maps and data. An Android version of the Explorer for ArcGIS app will be available in a later release. For more information on Explorer for ArcGIS, visit esri.com/explorer.